When you work in a high-stress, high stakes environment, kindness can sometimes take a backseat to more pressing things. That’s especially true in health care, when life or death situations are the daily reality. 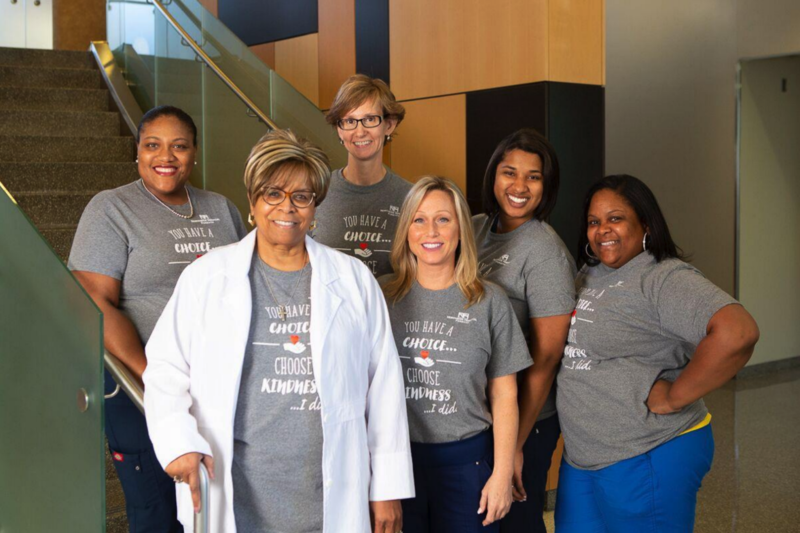 At Northside, we believe that no matter the circumstances, kindness and civility are key to creating the kind of work environment that benefits us and our patients. That’s why the recent Acts of Kindness campaign at our Forsyth campus is so important. To keep the focus on kindness, we created a daily log which tracked how well we treated each other at work. We also gave prizes, like T-shirts, and created superheroes such as Captain Kindness, Kindness Woman and Kindness Girl, who popped up with KIND bars to reward acts of special grace. At one point, we set a goal to achieve 10,000 acts of kindness and we reached it faster than we could have believed. It not only showed how caring and compassionate our team members are, it also showed how putting kindness first makes all of us better coworkers. We’re proud of the kindness movement that started at Forsyth and has continued to this day and also has helped make Northside an even better place to work. It’s had a contagious effect and showed all of us how kindness is always the best choice, no matter what else may be happening at that moment. Whether it’s a smile, a word of encouragement or a gesture of support, the Northside team is always aiming to choose kindness!